Best travel iron for EVERY kind of traveller! 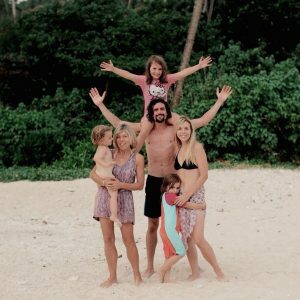 We also work a heck of a lot while on the road as well as home educating our 3 kids, so ironing and steaming our clothes comes at the bottom of a very long list (ok, actually it’s not even on the list). However, when we lived in the UK I visited some exceptionally high-end hotels with work and creases in clothes were a definite no-no, so travel irons were needed- I don’t trust hotel irons as you can never tell if they’re crazy, melty-shirt hot or will spit out white dust all over your clothes from being dry-boiled. 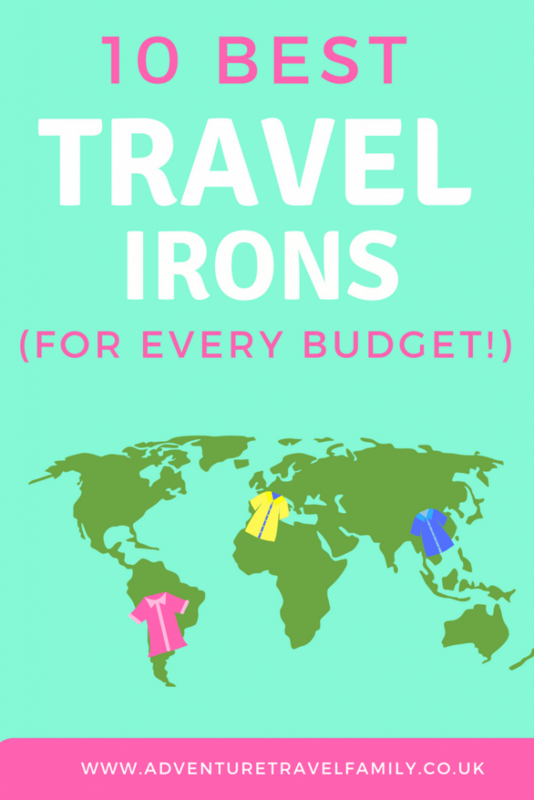 Here are my picks for the best travel iron for every kind of trip and traveller! This teeny weeny gadget is the best travel iron for those who have very limited space in their case or backpack, as it folds up compactly with the collapsible handle. The best little travel steam iron an absolute bargain, ideal for budget travellers like us! This Palson 1000W is one of the most powerful steam travel irons on the market. Perfect for when you need Insta-worthy clothes or to look your best attending social events. The Duronic Si2 is a tiny steam iron that packs a big punch. 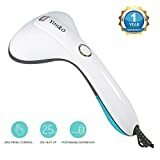 At only 13cm long it hardly takes up any precious packing space and it has a steam feature for perfect wrinkle-free results. The plate is non-stick and it comes with a brush and handy pouch for super-neat packing. For those with on-the-go kids, a travel steam iron that does the job quickly and efficiently is the best travel iron. The Steam Glide iron from household brand Russell Hobbs has a continuous steam function as well as a water spray. 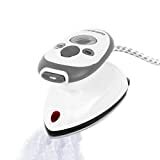 This is the best travel iron for families on a budget at under £10, plus you can buy it as a package with other useful travel items such as travel kettles at a steal, for those much-needed coffees, hot chocolates and instant noodles after a long day of travel! (See our guide to travel kettles as well as our guide to the best travel strollers). Surely one of the best things about travel is the freedom to do more of what you love and less of what you don’t? That’s what we think, too! If you need to look presentable on your travels check out this clothes steamer; simply hang up your crinkly items, give them a quick steam with this handy tool and off you go! Another option is this kettle and clothes steamer in one! If you have loads of kids/ wrinkly clothes/ no time/ are travelling in an RV, a steam generator iron is a seriously good idea. The constant steam flow ensures that creases and flattened completely and in a fraction of the time it takes to get through laundry with a usual iron. 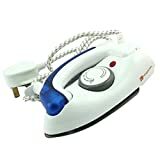 If you have a little more space in your case, at under 3kg this is the best steam generator iron for travel that money can buy. We have put together a complete travel essentials guide, featuring only our absolute must-have products- check it out here! If you’re budget travellers like us or you just want to get the most bang for your buck, we recommend the following websites- we’ve used them loads and highly recommend them. For flights, it has to be Skyscanner. We’ve found flights from London to Singapore for £198 and European flights for under £20. There’s no other site that we’ve found to be as thorough at pulling up all the rock-bottom priced flights! For hotels, Hotels Combined is our go-to; it used to be Booking.com but Hotels Combined actually searches several search engines including booking.com, so it’s much more efficient and better at getting the best deals. For travel backpacks, Pacsafe security bags and the like we recommend eBay. We save a ton by purchasing two of our Osprey backpacks from eBay, they were hardly used and we didn’t mind that they didn’t look brand new- they’re only going to get dusty anyway! There are also brand-new bags/cases on eBay from discount retailers so it’s definitely worth a look. For the best travel insurance for budget travellers, Benefits Alliance has some of the best travel insurance policies with single-trip cover starting at just £7.85. Avanti Travel Insurance won Best Travel Insurance Provider at the British Travel Awards and is popular for longer trips (up to 550 days) as well shorter trips and cruises. For car hire, Affordable Car Hire offers packages from just £5 a day, with excellent cash back offers as well as child safety extras. This post contains affiliate links. Using them will help us make a small commission to keep this site running at no cost to you.